VOB files (.vob) files are the multimedia files which are normally stored in the VIDEO_TS folder at the root of a DVD. You probably have some videos files in VOB format that means a lot to you. They could be ripped VOB files that are stored in your computer. 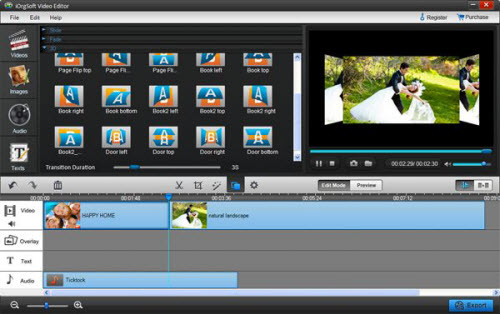 For (.vob) videos that record a birthday party, wedding ceremony or some other events, you probably want to edit/trim/cut/adjust/crop your VOB video clips and create a movie-like VOB videos without complex skills in using software. To help you successfully complete your task, you need to find a stable and reliable VOB Editor for Windows 10 or macOS Sierra for you to free and fast edit VOB files on Windows 10 or macOS Sierra. 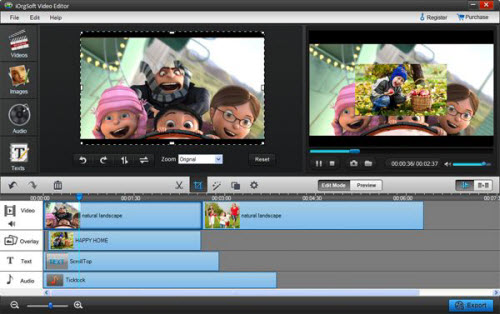 UFUSoft Video Editor (Compatible with Windows 10/8.1/8/7/Vista/XP pc) or Video Editor for Mac (Compatible with macOS Sierra 10.12, Mac EI Capitan 10.11, Yosemite 10.10, Mavericks 10.9, 10.8, 10.7, 10.6, etc) is a specially designed VOB video editing software for you to free editing VOB files. 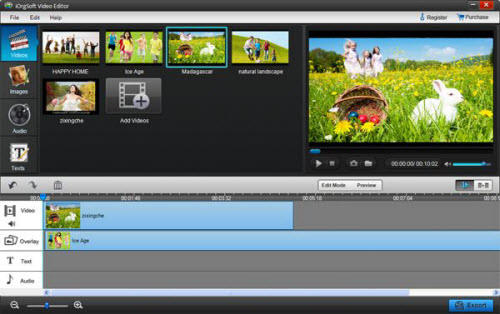 With VOB Editor for Windows 10 or macOS Sierra, you can easily cut your VOB videos to smaller clips, crop off unwanted parts, join several videos into a big or add special effect to customize your VOB videos. How to Edit VOB Files with VOB Editor for Windows 10 or macOS Sierra? Effect: On Settings tab, you can tweak you video brightness, contrast, saturation and hue from Video sub-tab, add special effect to your video from Effect sub-tab (there are more than 50 special effect available from three main categories: Adjust, Distortion, Filter). Besides, you can also make editing for audio like Volume, Fade in and Fade out. Note:Click Play button on the right of the panel you can only play the video you currently selected. Click Preview Mode, you can view all the video clips in the timeline as a whole. After finish editing, hit Save and publish to save VOB files. 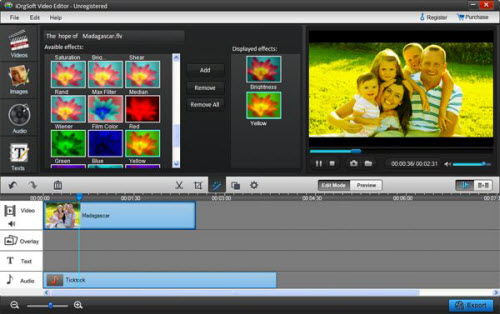 Here you can change video and audio parameters such as Bit Rate, Encoder, Resolution and so on. When finish settings, click Next to save the video.